Hahahaha, nothing really so special. Just want to share my current collection. 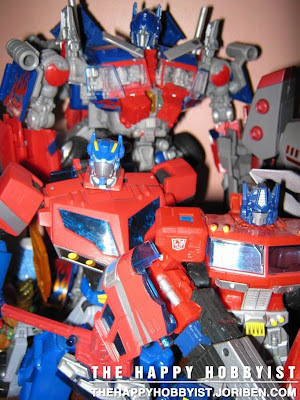 My collection of Optimus Prime and Megatron. 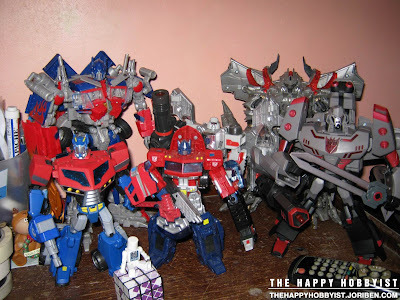 On the photo is Optimus Prime Revenge of the Fallen Leader Class, Optimus Prime Animated Voyager Class, Optimus Prime Henkei Voyager, Megatron Animated leader Class, Megatron Henkei Voyager and megatron Movie 1 Leader Class. 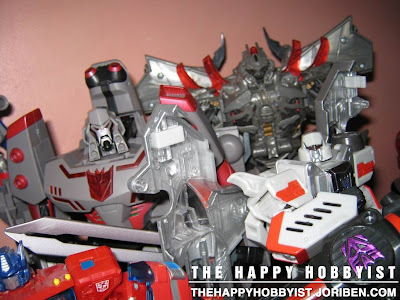 I'm so happy to see my collection that shows almost three different generations of the Transformers leaders. 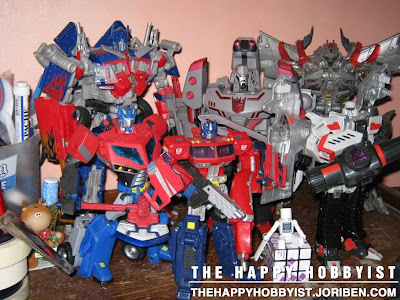 Not in Photo is the version 1 of Optimus Prime Movie 1 Leader Class. For now my next goal is to get the latest Megatron Revenge of the Fallen Leader Class but maybe will wait for the marked down items which is I think two years from now. Hehehehe, I can wait naman.